Jim’s and SMGA’s efforts have been recognized by numerous media outlets. 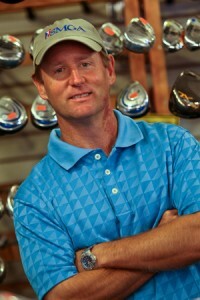 Jim was awarded the prestigious (2010) PGA Patriot Award for his contributions to the recovery of wounded veterans. The following 2004 article from ESPN.com tell how several trips from Walter Reed Army Medical Center to Olney Golf Park, where Jim Estes is a PGA Teaching Professional, eventually evolved into a 501(c)(3) non-profit corporation aimed at supporting post-9/11 wounded veterans.